Mike is regarded as one of the best personal trainers and nutrition experts in the country. He started out as a world champion athlete and opened his personal training services in 2008. By 2017, Mike had logged over 25,000 hours of training sessions to men and women all over San Diego. Clients includes healthcare professionals, nurses, military service members, fitness competitors along with weight loss transformation seekers of all levels. Pete's Testimonial: I have been lucky enough to work closely with Mike for the past several years, on his quest to improve his body. During his journey, I've watched Mike's drive and dedication, as he's worked hard to set himself apart from his peers and fellow athletes. Mike has exhibited passion, drive and the will to be the best, setting lofty goals and following without wavering, the proven paths to success. I have watched over his drive to win the World Powerlifting Championships which he succeeded in 2007, I watched as he then chose a goal of a different direction to conquer - in 2008; he conquered the World Fitness Championships, by placing in the top tier of his peers. And in 2009, Mike set his goal, and conquered the sport of bodybuilding by winning his class at the NPC Border States Championships. Mike is a skilled, determined and successful athlete, with talents in several disciplines, and a genuine love for the lifestyle of health and living strong and lean. He is inspiring to those around him, and to me. Britany's Testimonial: "There are a lot of “fitness and nutrition experts” out there, but no one compares to Mike! 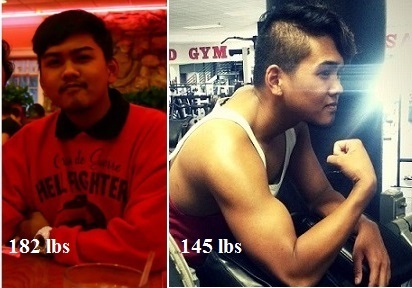 I came to Mike at a time when I had plateaued in my fitness journey. I was training on my own, mixing up work outs, and following a nutrition plan that used to work for me in the past, but no longer did. I researched everything, tried everything, and was lost on what to do. After my first training session with Mike I knew I had come to the right place. Soon after that, I started the nutrition plan Mike had custom created for me and within 2 or 3 days I was already seeing and, more importantly, feeling results. I was finally excited about my fitness journey again! It’s crazy the amount of knowledge Mike has and how he just knows what it will take for you to meet your goals. Not to mention, he genuinely cares about you and becomes personally invested in your fitness journey as well. Your goals are his goals and that in itself is motivation to become better and stronger. I’ve also been using the MFN Superior Whey Isolate and Probiotics and love both. Compared to similar products I’ve used in the past, these are far superior. I am always searching for the cleanest, most natural supplements and these definitely rank at the top! I can’t wait to try more MFN products! Overall, I am incredibly impressed by Mike’s training, the MFN supplements, and the MFN clothing line. The quality of Mike’s services and products can’t be beat! Thanks Mike! 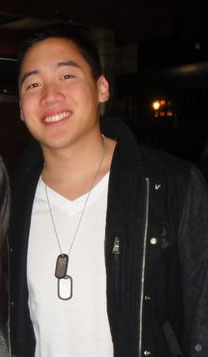 Jeremy's Testimonial: "3 years ago, I was in a fork lift accident that placed me in the hospital for over 40 days. After 14 surgeries, 2 of which were amputation procedures, I was left with half of a foot and my life dreams in shambles. I was in the best physical shape of my life and running 20 + miles a week. For two years I battled with the thoughts of getting back into shape again. I really didn’t know who or what to turn to. Fortunately, I was able to eventually get in contact with Mike Nguyen. The first 3 sessions with Mike were very intense. I did not expect to be thrown into such a tough workout. Mike had warned me that the sessions would be challenging and would test my perseverance and determination to succeed. Mike doesn’t scream or yell at you which many trainers do. He has a way of tapping into your soul and giving you that extra motivational push you need to get through the really intense stuff. You can’t help but appreciate and value his coaching abilities and soon you find yourself achieving extraordinary things. In just 4 weeks, I had achieved more personal records than I had ever before. My proudest achievement was leg pressing over 600 lbs. which is something I had never done, even before my accident. I attest this accomplishment to Mike’s coaching. Marc's Testimonial: "I've been through 3 months worth of personal training sessions from Mike and he has pushed me to give more than 100% every time. On top of those intense workouts, he gave me a nutrition plan that helped my body show results and feel better within two weeks. After training, it is usually hard to stay on track, but the info you gain from Mike sticks with you in order to stay fit and have a healthy lifestyle. There are plenty of trainers out there, but Mike is the only one I trust. 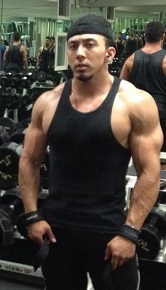 I still work with him till this day through his online coaching program to stay in my best shape at all times. Rachel's Testimonial: "Mike has helped me reach my fitness goal I've been dreaming for a long time! I've never worked so hard and had such wonderful results in a short amount of time. 8 weeks to be exact. I hate him when we're working out, but after seeing my results, I love him to death. Thanks Mike! Vicky's Testimonial:"I used to think lifting weights and going to the gym were for body builders and gym rats. After meeting Mike and training with him, my thoughts have definitely changed. I must say pulling up to the gym with the big red “World Gym” sign makes me proud and excited for what is in store. I am so emotional on the days I train with Mike though. I want to cry when another rep seems impossible, but so happy when Mike pushes you to finish strong. I can’t wait to come back for our next session. Training with Mike has been so much fun and I feel utterly comfortable around Mike. I am so happy with the results and I feel so much stronger. Because of Mike I feel confident that I can exceed beyond what I think I’m capable of. He is passionate and truly enjoys what he does. Thank you Mike for being an amazing trainer and role model! 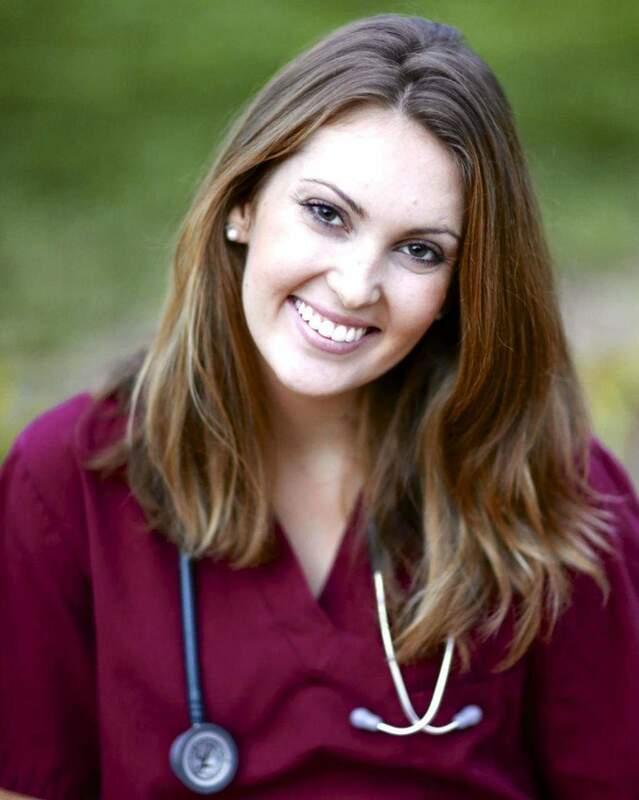 Hannah's Testimonial: "I am honored to have worked with Mike and couldn't be more proud or happy with my results. For years I have tried different crash dieting from low carb diets to low calories even trying to bust out hours of cardio a day but I was never able to get the results I wanted. In the three months that I worked with Mike I was not only able to transform the way I looked but was also gained an incredible amount of knowledge regarding nutrition,weight training and how my body works. I lost 16 lbs and gained an incredible amount of muscle. I worked with Mike twice a week for an hour and he definitely pushed me to perform my very best and come back stronger every time. I have always had strong legs and been physically active but I felt as if I wanted more muscle definition and in the three months I trained with Mike we were able to accomplish just that. I don’t think there was a day where a part of my body was not sore, especially legs!!! Mike taught me how to choose the right foods that would maximize my results and fit my nutrition plan. Mike always followed up with me before/after workouts and during the week to make sure I was recovering well. I probably texted Mike once a day with questions regarding how to prepare my meals, the best time to eat etc. and Mike was always more than happy to answer my questions. My friends and family were constantly asking me what my secret was because my body changed so drastically in a short period of time since I started training with Mike. It was truly amazing to see how your body can change by eating the right foods and doing the right workouts. I live and go to school in San Marcos and commuted 50-60 minutes twice a week to train with Mike but it was totally worth it. I can definitely say Mike is the best decision if you are looking to transform your body! Ali's Testimonial: "I am so happy to have Mike as my trainer. My hobby turned job is print and promotional modeling. On the same coin, I am a yelp-loving foodie who has an affinity for carbohydrates (noodles in particular!) As someone who has always looked to exercise for stress-relief, my lack of consistency has always been my biggest issue. Doing the same work-out/cardio routines got boring, and I felt myself slipping. Then I began working out with Mike! I’ve never considered weight/strength training for fear of “bulking up.” I know other girls out there share the same fear. Mike assured me that this would not happen, and that I would lean out and tone up. After every session, I leave dripping in sweat and with feelings of exhilaration. Mike challenges and pushes me past my comfort zone, and it’s made a huge difference. I see and feel the muscle tone and my body overall just feels stronger. He genuinely cares about his clients and their questions and concerns. I’ve also bought vitamins/supplements from his MikeFit nutrition line which have also been a huge aid in progress. (EFA Lean and Aminos!) I’m excited to continue working with him and hitting on my fitness and nutrition goals! Kevin's Testimonial: Training with Mike has been an eye opening experience. I have been training for several years and managed to stay fairly fit. However, gaining more size and strength was always a tough process until I decided to work with Mike. 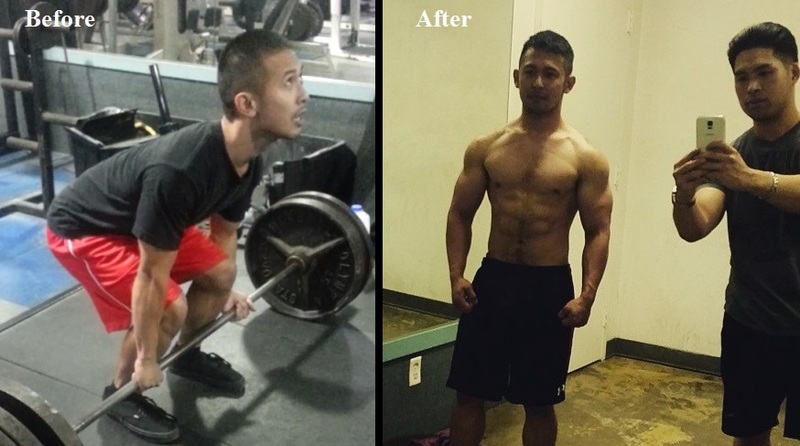 Within a 6 months of training with him, I was able to increase my bench press from 175 pounds to 285 pounds with much better technique. I have also added a little over 20 pounds of lean muscle which I never thought was possible to do. Thanks to Mikes' training, his nutrition plan and supplements (which I also use everyday)- I now believe there are no limits to what a person can achieve with the right program "
Robin's Testimonial: "Mike is nicknamed "Superman" for a reason. Not only does he have strength and intelligence, he has always been a savior for my workouts. With his excellent supplement and nutrition suggestions, I am no longer wasting money and time with all the unneeded guess work! I enjoy training with Mike because he really pushes me during the workouts. I feel like a machine thanks to Mike! Wayne's Testimonial: "I worked with Mike during the length of one summer and achieved great results from his fitness program. 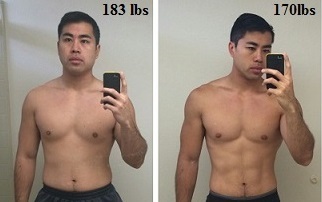 Over the span of 3 months I was able to lose fat and gained a lot of muscle at the same time. Mike is an energetic and knowledgeable trainer that will take the extra time to research and understand each person's individual goals and tailor unique workout routines accordingly. Mike's hard work and passion for fitness is quite apparent at first glance at his ridiculously muscular build. I would highly recommend Mike to anyone who takes their fitness and health seriously." "I have trained with Mike on and off for several years now. I started at 118 pounds and have built myself up to a lean body weight of 134 pounds. Mike has shown me how to train at my full potential and the results I’ve seen has been more than I can imagine. 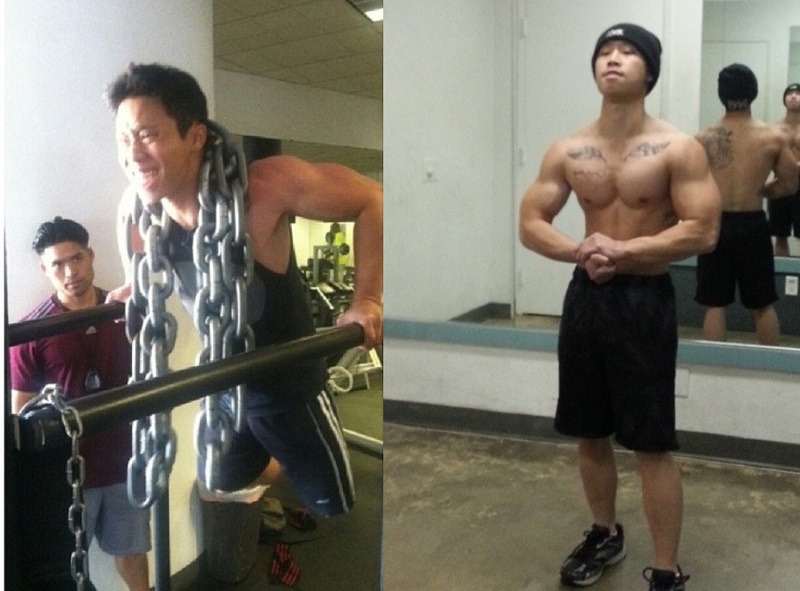 Thanks to Mike, I have become much stronger and bigger with plans to compete in my first bodybuilding competition. " Khalil's Testimonial: Training with Mike has been one of the best experiences of my life. I have learned to push myself much more than I ever thought I could. I learned not only the proper form of training but also the most effective ways to build my body to its maximum. I’ve gained over 40 pounds of muscle and also increased over 3 inches to my arms and chest. Mike is the most knowledgeable person I know when it comes to building the body. " 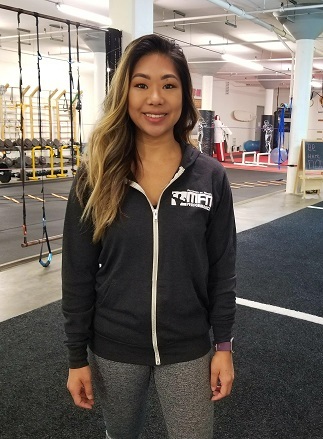 Kristine's Testimonial: I set out on a personal fitness journey 9 months ago but it had been so long since my days in High School and College sports, I didn't know where to begin. What I did know was that I wanted to become healthy and fit again. I was fortunate enough to meet Mike and since Day One he has continued to not only challenge and motivate me every single day we work together, but he has also been my biggest supporter and encouragement especially on days I've felt discouraged or less motivated. As a result, I can confidently say that I am the most fit and strongest I have ever been both mentally and physically- and most importantly, I am the happiest I have ever been with myself. Working with Mike has inspired me to exceed my own expectations in the gym, change my lifestyle for the better, and challenge myself everyday to be the best version of myself. Mitchel's Testimonial:"I have been holding back on writing a review for Mike because I wanted to make sure I gave him the true credit he deserved and needed some time but it's been long enough. I want to start out by saying that I have had many battles in my life they have contributed to weight fluctuations of 40 lbs or more. I have tried many different diets and exercise programs. Each one brought different amounts of results. The only thing is they didn't last because I was either starving myself or doing so much cardio that I lost the weight but had extra skin so it didn't look too good. I always ended up back where i started or even bigger. I was introduced to Mike from my sister in law because she kept talking about this guy she was training with that was really smart and nice. 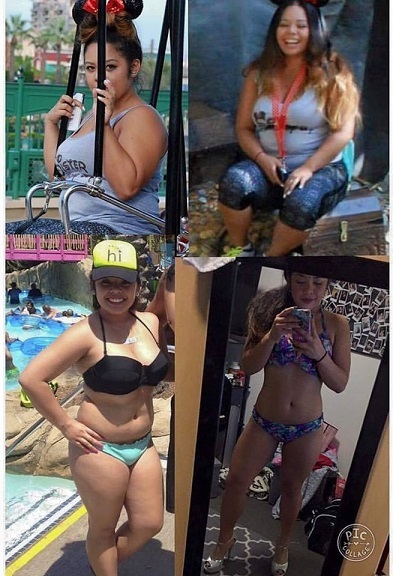 More than anything I started seeing real results because she would come over weekly to watch my kids and ended up losing 25 lbs and keeping it off. Finally I asked her for his number. He had me answer a couple questions and wanted to known my goals. My wife also let him know her goals too and we started at the same time. Mike is a true professional. He is smart and well spoken yet doesn't talk like he's above you or too good. He will push you and inform you without making you feel like you want to give up. He is a master at positive reinforcement. 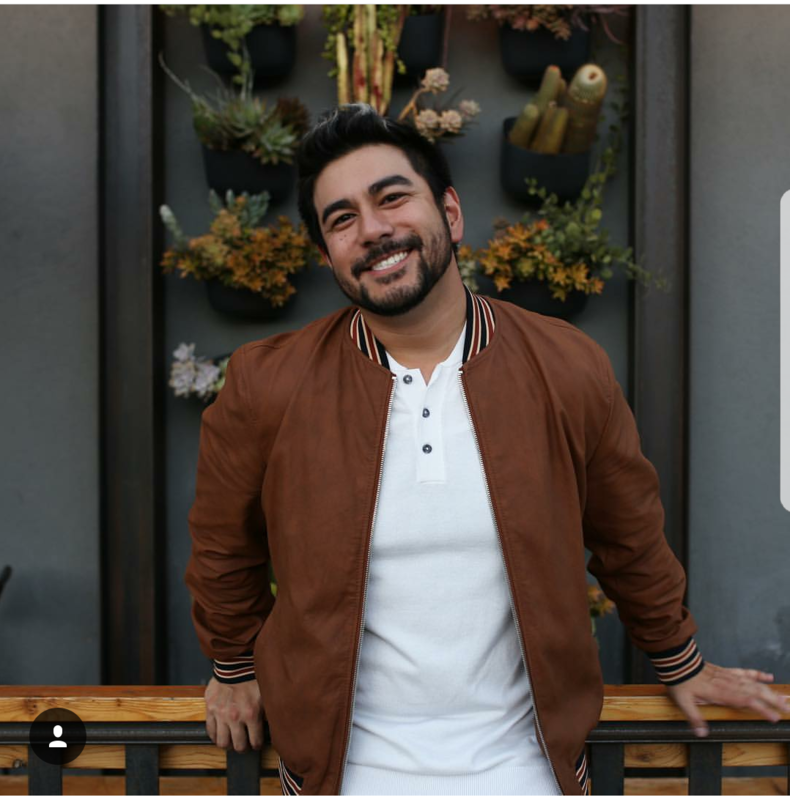 He is a double certified nutritionist that will use his knowledge to diagnose your body type, then formulate a plan to get you healthy from the inside out. My wife and I are now more fit than we ever have been. I am feeling better and better every month. My body is taking on a nice shape, far from the fat blob i was. I have adopted a new lifestyle that still permits me to be human with eating good fun foods but timing them right so I can use them to my advantage. My wife is also in way better shape and it shows. She can fit into old clothes and her other clothes are too big. Thank you Mike for changing both of our lives for the better. We will continue to spread the word. Oh yeah by the way. My sister in law, our family friend, my brother in law, my cousin, my wife, and I are currently still training with him. That should sum it up. We truly believe that his education paired with his "genuine" intent to better the lives of others deserves attention. " "Weightlifting is a sport where a person can be easily injured. My main goal was to increase my strength and workout in a safe and injury-free manner. Mike was able to demonstrate safe lifting techniques in a way that I was able to understand. Because of the good form and technique, I was able to safely improve to lifting twice my bodyweight (and more!). 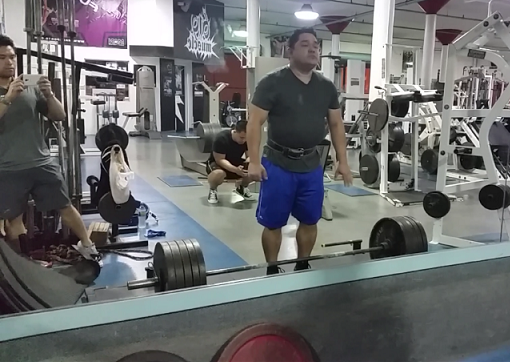 I started out deadlifting 255, but now I can deadlift 325. I started out bench pressing 175, but now I can bench press 205 for two reps.
As a military service member, I also wanted to increase my push-up and sit-up strength in order to pass the tough fitness standards that the military requires - I am now able to breeze pass through the fitness test with over 85 pushups and over 70 sit-ups (in one minute! ).Mike's nutritional advice also played a big role in my improvements - I am always feeling good before, during, and after a workout. Almost every week I am hitting new personal records, and I owe it to the very detailed nutritional and supplement plan that Mike personally made for me. 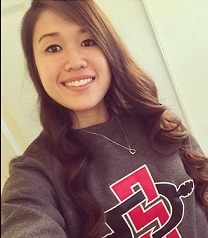 Lianna's Testimonial: "There's SO MUCH to say about Mike and his training programs! I recently went through a difficult season in my life and I couldn't seem to be consistent with my workout regime or healthy eating habits. So I decided to reach out to Mike on IG to try his Shred Program because I saw a few of my girlfriends doing it and they looked AMAZING. I not only committed to his nutrition program, but he also encouraged me to try his workout program and the combination of both were exactly what I needed. Honestly, I've been doing fitness programs for 8 years and his is definitely one to spice up your routine and reset your body. I wasn't wanting to lose any weight, but I ended up losing 6 lbs and it looked gooood. I just felt tight and solid! I still use his nutrition program today and I use his workout routine in the mix of my other programs that I rotate between! Throughout my entire experience, Mike has been extremely helpful and encouraging! His wealth of knowledge absolutely has been one of my key resources. Not to mention, he basically helped convert the program to cater to my veganism! Thank you, Mike!!" 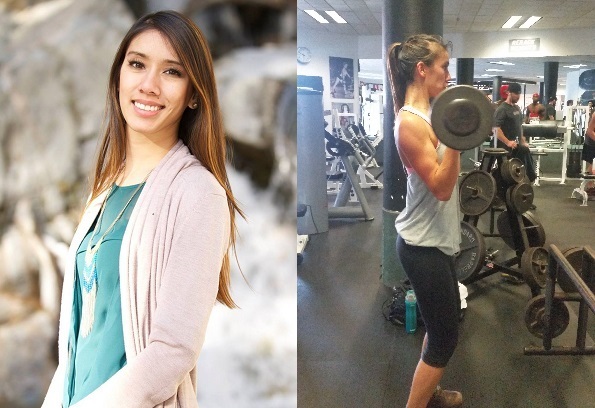 Mikaela's Testimonial: As a athlete, I came to Mike looking for ways to eat better and improve my eating. He was able send me a very organized and fitting meal plan that was 100% compatible with my rigorous Volleyball Season schedule. Because I was rarely home and spent a lot of my time practicing and competing I did not eat enough and often felt tired and overwhelmed. With the nutritious yet short meals he planned for me, I have become fully capable of spending 23/6 of my life dedicated to school and Volleyball - all while being supported with a healthy, simple but filling diet. I am incredibly grateful Mike! !" Aubrey's Testimonial: "Mike is amazing! I originally reached out for maintenance purposes; I noticed that as I got older, my body started changing—I didn’t feel as youthful and energized as I once did. I’ve never had an official trainer before, so to say I was nervous was an understatement. During our first session Mike right away put me at ease. He’s relatable and provides words of encouragement throughout. He explains each workout in full detail—for optimal results, as well as breathing techniques. His workouts are challenging (now I know why his client’s hate leg day!) Mike also answered all of my questions and created an individualized nutritional plan based on my weight and goals. I may not be able to commit to seeing Mike as often as I’d like due to my work schedule, so when I attend the gym solo, I feel confident in my technique and know that Mike is just a phone call away. Thanks to Mike, I’ve changed my mindset on weight lifting and plan on keeping it as part of my wellness regimen." 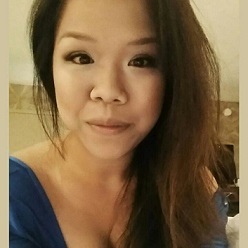 Phuong's Testimonial: "Hands down, Mike is an incredible personal trainer! 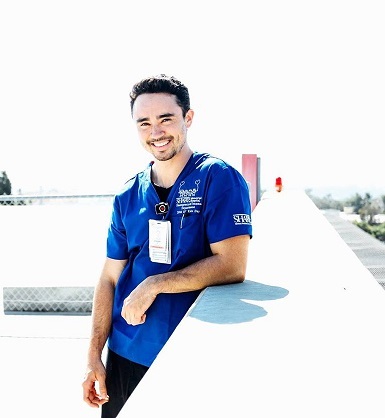 He is extremely knowledgeable in his field as he is a Certified Professional Trainer, a Certified Nutritionist, a Certified Weight Management Specialist, and a Certified Sports Injury Rehab Specialist. 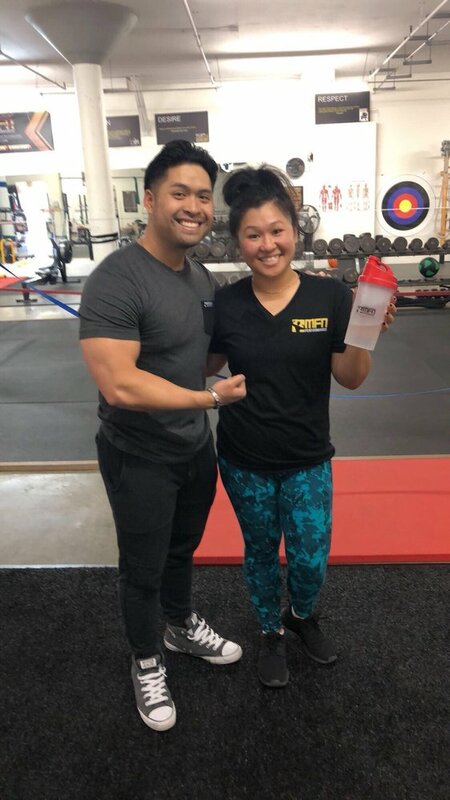 In a nutshell, Mike has all of his grounds covered to help his clients meet their fitness goals, thus making him an incredible personal trainer! In my past 4 years of my fitness journey, I have tried multiple fad diets and exercise programs in my attempts to lose weight and to become a healthier me. I would experience weight loss but the problem was that it wasn't sustainable as I always ended up where I left off or gaining more. Through this all, I have wasted countless money and time until I was introduced to Mike through a friend. Fitness success is a combination of both exercise and nutrition. What I loved about Mike is that I was able to have BOTH the exercise expertise as well as the nutritional advice. He was able to provide a personalized nutrition plan and a workout plan to help achieve my fitness goals. Another factor that is crucial to fitness success is motivation and support. I love that I have direct contact with Mike. I can text, e-mail, or even call him whenever I have questions or when I need a pep talk to get me back on track. With that being said, I've lost 28 pounds within a course of 4 months of training with Mike.More importantly, I am in the best shape of my life! I am leaner, stronger, and healthier and I couldn't have done it without him. What makes training with Mike successful and sustainable is that he also provided me with a maintenance plan to help me keep the weight off. He still urges me to contact him if I have any questions. What kind of trainer does that?!! Mike does! In the end, I truly believe that this is what makes him stand out as a personal trainer. I am very happy with my results and I cannot wait to re-book with him to achieve my next fitness goal! John Testimonial "Mike creates something out of nothing every time. I loved everything about my experience. It was perfect. Intensity, Motivation, Goals. I would do it every year at least. Great investment. I just thought everything was planned very well for maximum growth. The beginning was smooth, easy enough to learn but hard enough to improve. I dont have any constructive criticism. It was perfect. Messiah's Testimonial: " I had the pleasure of training with Mike for 4 weeks to kick-start my personal commitment to losing body fat and developing a healthy lifestyle. In only a matter of weeks, I acquired new, vast knowledge on nutrition and weight training. On top of body fat I lost, I also regained strength in my knees that weakened from preceding injuries and surgeries. Initially, I apprised Mike of my fitness goals, despite my knee injuries. Right off the bat, he informed me of the strategic plans to train me with my injuries in the healthiest way, and sincerely expressed his support in helping me achieve my fitness goals. I loved the personalized nutrition plan because it worked well with my busy life as a student. The nutrition plan was well-articulated, which made it easier to follow and even understand why it will work when followed efficiently with the workouts. Every workout session with Mike challenged me and pushed me, but it was never too much. I always learned something new each session. Mike is an incredible, distinctive trainer that genuinely cares for one's physical wellness. From all the insightful answers concerning fitness-related questions to all the texts messages before/after workouts just to check in, one could see that about him. Although it's been a while since I trained with Mike, I still apply a lot of the knowledge I procured from him and his nutrition plan to this day as I continue on my fitness journey. 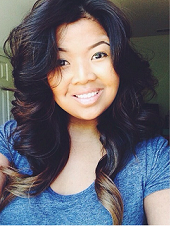 Kim's Testimonial: "My name is Kim, I've been training with Mike for 5 months now. 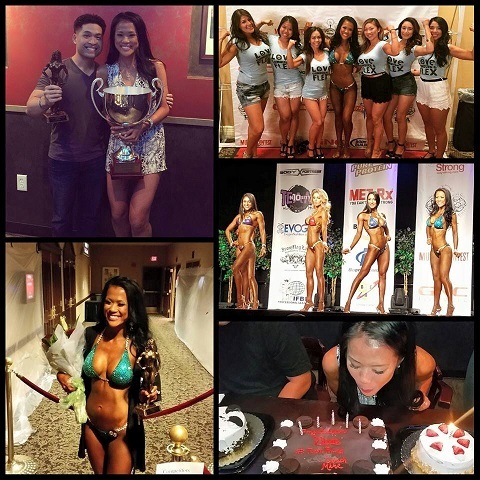 My journey all started because I've always wanted to do an NPC competition and the timing seemed to be right in my personal life. Let it be known, my four siblings have been training with Mike prior for years and that's all they talked about when we had family dinners. Although I was always interested, I was also very naive. In my personal opinion at the time, I always considered myself 'very active'. I was a runner, on average I ran about 20 miles a week if not more. It was for mental release and also because that's all I knew. In the past, I've gained weight, I went up 3 pant sizes in high school and even at that point I didn't have any glutes and I just accepted the idea that it was impossible because I was Asian. So I stuck with what I knew, which was to be lean. Through this competition journey which could be very ugly and very self destructive, I questioned everything but choosing Mike was never one of them. I've never felt more like myself than I do now. He goes above and beyond the definition of a trainer, he genuinely cares about each and every one of us. He's incredibly educated and everything with him is customized. From meal plans to training plans, our bodies all work differently and if you give him the time, he'll be more than happy to go over every detail with you. (Every detail. Lol) Month to month, I've seen changes in my body, body parts I've never seen my whole life. I've hit weights that others not even myself thought I was capable of doing and it was all done in such a positive environment. I've experienced first hand how it feels to have him as my trainer and have a separate prep coach and I can honestly tell you, Mike has been more of my coach than anything. He's right there, encouraging you and when you fall or make a mistake, he keeps you focused on the right things. I was able to gain more mass than most people thought was possible in the time frame I had given myself and it was all done in the right way. It wasn't just for physical appearance, all of it was for long term changes and developing healthy habits. Anyone can alter the same diet plan or workout plan but if you want to make real changes, he knows exactly what machines to use to maximize every workout, how much fats and carbs you need to intake and so on. I conditioned myself in the past to stay away from certain foods on a daily basis but who would've known that was all working against me. I've really came to appreciate the process of learning what works and what doesn't for my body and to be honest to myself. There's not enough words to say how much I appreciate Mike, his style, his patience, his knowledge. He's definitely one of the rare real trainers still out there and it was one of the best things I've ever invested in for myself. Aya's Testimonial "I used to only do cardio, but then I began to train with Mike. At first I was a bit hesitant because I was intimidated by the idea of weight lifting. Mike helped me get out of my comfort zone and taught me the value of weight lifting. I admit, training with Mike can be very intense, but nothing compares to seeing progress after awhile. I never would have image myself to be where I am at today, a stronger and confident person in weight lifting, and I thank Mike for it!" 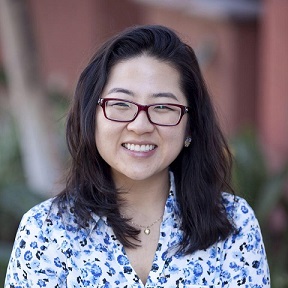 Eunjae's Testimonial "A couple of years of battling unknown digestive and weight gain issues, I reached out to Mike per the recommendation of my friend, Phuong. As a client of his, she raved about his knowledge and expertise in nutrition as well as fitness. Unfortunately, I was skeptical that anyone could help me, because of the previously failed attempts by other personal trainers and nutritonists to cure my issues. But with Phuong’s encouragement, I made the leap. Mike immediately put me on a nutrition plan to “reset my body.” And reset it, it did. My digestive issues vanished within four weeks! Once my health was on track, Mike and I began to work out together. I wouldn’t describe this experience as a fun walk in the park… it was more like running through a forest on fire while carrying the luggage equivalent of sixty to a hundred pounds of weights. I threw tantrums and gave Mike death threats all throughout the six months we trained together. He took everything I threw at him with stride and still made every session count. After it was all said and done, I looked and felt better than I have ever felt in my life. My personal training experience with Mike has given me more than I could have ever hoped for. I still have a ways to go before I hit my personal goals, but Mike has equipped me with the knowledge and techniques for future success. He is not just a personal trainer to me. He is now a great friend that has supported me every step of the way in my health and fitness journey. Mike is definitely one of a kind." Michael's Testimonial "Training with mike has been one of the toughest, but most beneficial things I have ever done to better improve myself physically and mentally. Mike's sense of knowledge and understanding of fitness has transformed my body into something I never knew was possible. Even though some workouts may be intense, his presence and supportiveness pushed me to work harder and to even exceed my own limitations. As a client, I can honestly say that Mike is very supportive when it comes to answering questions and made workouts safe and exciting to do. Thanks for guiding me through a life changing experience and opening my mind to a healthier lifestyle!" "Training with Mike has been great. His training is very effective and his nutrition plans fit to your liking. He will tell you everything you're doing and why you're doing it so you can fully understand. Mike is no joke when it comes to training. 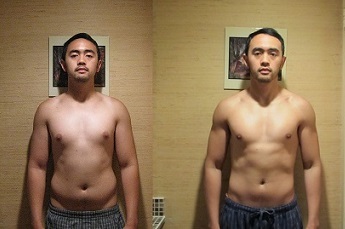 I've transform my body in just one month. I will continue working with him for as long as I can!" "I came in with the mindset that I was pretty fit already but boy was I wrong… Mike has helped me improve myself more than I ever thought possible. The workouts are insanely INTENSE and man the technique and form matters so much in order to get the right results; nutrition plan was SUPER easy to follow making it better for my body to adapt and transform at a quicker rate. 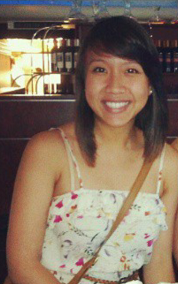 Never did it cross my mind that I could have a toner body and build greater strength within this short amount of time. During the workout sessions you not only receive a great workout but you absorb so much knowledge that he has to offer. Mike has changed my perspective on weight training and taught me how to maintain a healthy lifestyle that will keep me staying fit. Thanks for everything Mike!" "I'm 29; I'm an avid Pinterester and Groupon crazy--always up for something new and fun, especially when it came to health & fitness. I am a subscriber to Women's Fitness Magazine. BUT like most people: I work way too much, don't sleep enough, and always end up eating fast food and quick snacks. The real turning point came when my weight gain wasn't just "happy weight" anymore, I couldn't blame it on my boyfriend, it was me, my schedule and my habits. It was the wedding day of my wonderful, beautiful cousin; my crash diet didn't seem to change the fact that I was still "the fat bridesmaid". I didn't even want to look at any of the pictures I was scared to see myself in. Something had to change. No more excuses, no more trying all these random ways of losing weight. A WALKING HEALTH ENCYCLOPEDIA: Right off the bat I asked Mike a million questions, with all my magazines, internet resources, Dr. Oz episodes, I was on information overload--I needed to filter and focus on what was best/work for me. I asked him everything and anything, instead of getting annoyed or giving me a general cookie-cutter answer I'd get from Google, he answered every question and inquiry precisely, thoroughly, mindfully, and with much detail; he would even send me articles to follow-up on. I STILL get amazed of all the things he knows! ; From cures for aches & health fallacies, to bathroom habits and whether to go clubbing or not. It's one thing to want to be healthy, but another to understand it, break it down, practice, and live it--and Mike is definitely the perfect guide. 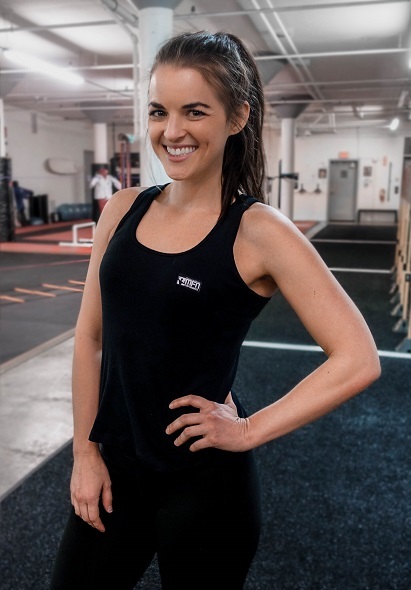 PERSONAL TRAINING: I have had two trainers in the past: they pushed me, showed me around the gym, and recorded my weight and body fat percentage--it felt good, it was helpful, but it wasn't much more than what I could have simply done on my own. Mike, however, broke every perspective I had and showed me what I had been missing (and overpaying for), he puts the personal back into 'personal trainer'. As you exercise he examines your movements, he looks closely at your reactions, and he carefully plans for the next sequence of exercises. MORE THAN A NUMBER: I can't thank Mike enough, over and over, and repeatedly as many ways as possible for everything he has given me. My sense of hope in month 1, my energy and the feeling that I could conquer anything that came my way in month 2, and giving me my confidence and honest sense of strength inside and out in month 3. Somewhere along the way, it wasn't about the scale anymore; or the skinny jeans, or the bragging rights. Yes, it felt damn good going shopping for the first time in a long time and not feeling like climbing into a hole afterwards, but with everything I've learned, I will know and practice for the rest of my life, for me and my body. I am fit, and I am healthy. I FEEL beautiful again, and it’s priceless. MY FRIENDS AND FAMILY ARE ALWAYS ASKING ABOUT MIKE: No, he does not yell at you and he doesn't push you into pain; he pushes you just enough to get you to change and become your best. Some people say they just don’t have the time to work out, but you really do if you want it enough. There were days I'd get off from a 13 hour day and the LAST thing I wanted to do was go to the gym, I would come up with as many excuses as I could in my mind not to go, but I would end up going anyways and I NEVER regretted it because I always left feeling great after our sessions. Every workout made me feel strong and accomplished. Thanks to Mike, this is only the beginning of the changes I see and feel, and I love it! I was introduced to Mike and the MFN Community a little over a year ago. I was given a one day session with him as a gift and I can honestly say it's one of the best gifts and introductions I have ever had. Mike alone is a mountain of positivity and knowledge. In the month that I have spent with him so far in 1 on 1 sessions, he has forced so much change in my body and mind that I feel like an overall better person. When I started working with him as my personal trainer, he said one thing that gave me a huge amount of hope: "Brian, it's not just your goal anymore. You don't have to do it alone. It's OUR goal and I'm going to help you get there." To be honest, I have trained on and off for years, and I've never been a small dude, and in the short amount of time I've been working with Mike, I feel the best out of all those years combined right now. He will literally unlock your potential, and I can't wait to see myself when we are done. I have no doubt I will be coming back for more. Outside of this, It was beautiful to see that he has his own facilities that he trains out of, he has an amazing team of positive and fun assistant coaches that help him with classes and sessions, and literally everyone that I've met, whether it's the coaches or other team members, and just members themselves, EVERYONE is awesome and positive. Mike and the MFN Community. I couldn't recommend anyone better to help you make changes for yourself. "I have been training with mike since July 2018. We train about twice a month and let me tell you those training sessions are no joke! If you're looking to intensify your workouts and get motivated, mike is your guy! Each workout never fails to be challenging yet effective! He always switches it up on me so i am constantly shocking my body with new workouts and some of the same but increasing the difficulty! I truly enjoy working out with mike as i am learning a lot and he helps me push myself more than i thought i could ever do! He's very informative and helps you with every workout and your nutrition. In just a few months i can already tell the difference in my strength! 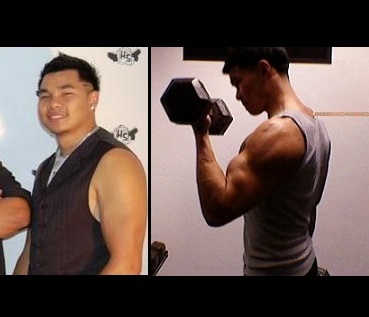 He's truly helped me so much in my fitness journey in just a short amount of time. So if you're looking for a trainer, a nutritionist or even a gym i highly recommend Mike! I'm going to get straight to the reasons why I love training with Mike!! I've been training with Mike for months now and I love how he teaches me something new every time whether its about diet and nutrition, different workout movements and health. Training with Mike has definitely put me back on track with my workout and health goals because everything is easier when you have someone who believes in you and sees potential in you. I'll tell you now, you need to be up to the challenge! He is a super fun trainer, but these sessions are tough and gives you the push you need to start your path whether its for a competition or just for overall health and strength. I'm honestly very blessed to be training with someone who knows what they are talking about and not to mention...who is a WORLD champion! Mike has recommended me some of the best products for my digestive health, and for my weight gain goal. He is never hesitant to answer any questions you might have for him and he makes himself so accessible, and even works around my schedule, that's a dedicated trainer! I've also met a ton of amazing and like-minded people through Mike, and making new friends is always a plus! "I've never really been one that was into working out or watch what I eat. As I was getting older I realized that all that I was eating was catching up to me. I gained a lot of weight. I've hit the weight that I told my self I never want to be at. Not only because it didn't make me feel good about myself, but it was very unhealthy. So my sister and I decided to sign up with Mike. ( THE BEST DECISION EVER). He was very patience and always there to motivate us! He provided a meal plan that was easy to follow & healthy! Working out with him was hard, he pushed me out of my comfort zone, body was aching, legs were dead, but it was so fun and all worth it. He really helped me get a jump start on this new journey & lifestyle. I recommend him to all my friends & family.